You’re going to find this hard to believe (because I’m so young and all) but I’m the mother to three adult children and one teenager. Yikes! In the past several months God hasn’t just shaken my faith through my kids, He has rearranged it! I have one daughter making marriage plans, one applying to colleges (out of state! ), and one who is stretching to find her independence in ways that make my momma heart ache. I’ll confess, I don’t even know how to pray for them anymore, and I’ve lost more hours of sleep than I care to admit. Loving adult children is seriously hard, y’all! Are you here with me right now, God? I asked and then paused to listen. His answer was clear, and shook me to the core. “You know I’m here with you, what you need to know is that I am also with each of your kids right now.” Since that day my heart has been settled. Is the future still unclear? Sure. Isn’t it always? But the worry that kept me up at night is gone. I may not have the answers my kids need, but He does. And He is with me… and them. Get to know Keri Lynn better. Listen to Keri Lynn on KLRC. Lord, I trust you for the ‘Yes’ and I have faith for the rest. Isn’t that how we are with Christ! Through all the trials and changes life brings we look back and say, “Lord, I trusted You when I said ‘Yes’ to You as my Lord and Savior–and I have faith for the rest,” for we walk through this life by faith and not by sight (2 Corinthians 5:7). Want to know more about beautiful Sarah? Click here. I have been involved in bible study most of my life, but I have never taken the opportunity to really dig in and inhabit one particular chapter of the bible like we have been doing in this study. Allowing the first chapter of Ephesians to marinate over the course of two weeks has been powerful. I have written 35 pages in my journal since we started! I have experienced a number of insights, but there are two things in particular which are continuing to shake up my faith. During this study, I have read Ephesians 1 in several different translations. In The Message translation, Paul says our adoption as children of God occurred because God “wanted us to enter into the celebration of his lavish gift-giving.” The visual of God throwing a party all about generosity and inviting me to join Him has really stuck with me and I’ve continued to ponder how that might change the way I look at how I spend my time. Several days after this shift and further into our chapter, we began talking about Paul’s prayer for us to receive “the Spirit of wisdom and revelation, so that we many know Him better.” I began to pray specifically for this spirit of wisdom and revelation, both for myself and for my family, truly believing this was something God wanted for us. Within a couple of days, I received clarity about some very specific questions I had concerning my ministry and work… answers and direction I have been wrestling with for 18 months! Within a couple of days, I had clarity! This 30 Days to Life Shaking Study in the Word has not only served to shake up my faith, it has given me insight and direction to share with others. For the past seven years, I have taught bible study on Tuesday afternoons at a day shelter for homeless and poor individuals in our community. Obviously, I had no choice but to take Ephesians Chapter 1 to the bible study last Tuesday! I printed The Message translation to supplement our NIV versions and we had an incredible time of sharing and prayer together. My friends around the table, many living in the woods or in their cars during this cold weather, were particularly moved by the idea that God already sees them, through Jesus Christ, as holy and blameless in His sight. We also spent a great deal of time talking about what it means to be God’s child and what our inheritance might look like. We will spend time more time in Ephesians 1 this Tuesday and I anticipate another rich conversation full of “the Spirit of wisdom and revelation” God promises when we join together and dig into His word. Want to encourage Kelly? Check out her blog. Recently we moved to another state where we knew no one at all. I grew up in North Carolina and that is all I have ever known. At times it is lonely, even with the chaos of four kids running around. I am homeschooling for the first time, something I said I’d never do. My prayer life has increased as I ask God to take the wheel and help me in every aspect. When my husband first told me they were shutting down his job site, I basically stomped my feet and cried. I told him and God that I was staying put. There were many restless nights. I didn’t know where we were going or if my husband would find another job. I wanted to change my feelings. I wanted a different attitude so I started praying the word “peace.” I began to feel God’s peace blanket my soul and comfort me. Then I started to rest in it, that “peace that surpasses ALL understanding.” Even today, I don’t fully understand why we are here but God does and that’s enough for me. He’s been with us the entire time. I’m still learning lessons. Many times God takes us way out of our comfort zones for His purposes. I’m doing my best to bloom where God has planted me, to meet new people, to get involved in our new church, and to better homeschool my children. This is my prayer: Shake me up, Lord. Help me to continue to grow up and be firmly rooted in you and your amazing Word. 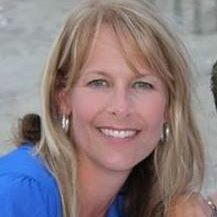 To connect with Julie Spearing, check out her blog. For eleven years my husband and I began and ended our days alongside one another in our dream jobs. We built our identity, our family and our life goals around our place of employment. Years of dreaming, however, were turned to weeping on the day we were told our contracts were not being renewed. With fading hope and lost purpose I found myself completely shaken with no place to go but the arms of Jesus. My faith took new form! With my new place in His arms the Lord began transforming my thought patterns, erasing years of faulty beliefs and recreating me with His truth and freedom. My faith took new form. Abiding in Him was no longer just a phrase, but a place I didn’t want to leave. Surrendering all, I determined in faith to rest in the Lord and release control. Today, I’ve never felt more alive in God. What began as a terrible day of loss brought me to a place of freedom and trust in Christ like I’ve never experienced before. Find our more about Leigh Ellen at her blog. Share your story. I want to hear how God is shaking up your faith in a good way. For those of you who have been in the 30 Days to Life Shaking Study in the Word, we pause occasionally to thank Him. That’s our assignment today. 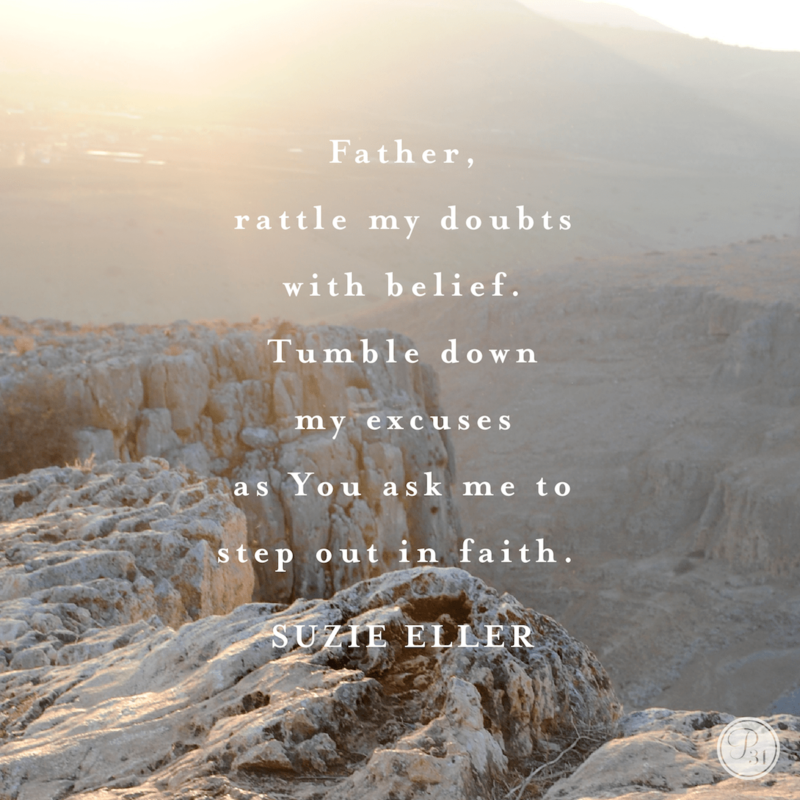 Take a moment and journal what God is doing and how He’s shaking up your faith — in a good way. Share it here as well. Discuss a time when God shook your faith. Tell us what He’s doing in and through you today. Let’s pray and celebrate as strong women of faith. If the shaking that is going on in your heart or thoughts is not what you hope, let us circle around you and encourage you. For those of you who haven’t been involved in the study, I offered a free gift. 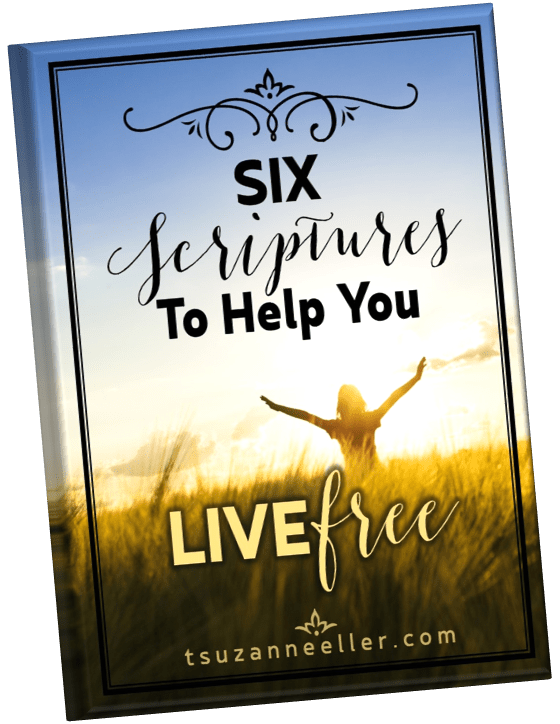 Today, a free gift, Six Scriptures to Help you Live Free.. Thank you for being a part of this circle of friends today. My world was shaken pretty hard about four months ago when my 76 year-old Mom moved to our empty nest from a neighboring state. She sold her home and retired, not sure of where she wanted to live, so she’s going to live with us about two years while we were needing to be gone from home during the week for my husband’s job. I’ve recently mostly retired from my job and my husband’s travel has been delayed, so there has been a lot of togetherness with my Mom and me. Feeling like a “bump on a log” and almost paralyzed emotionally, Mom has leaned heavily on me for purpose and meaning in her life. I’ve felt trapped and smothered, along with being so shocked at her reaction to this transition. As I had feared, our relationship was strained, to say the least. This woman of faith was shaken to the core, and she took me down with her. Recently, Mom has taken a turn to embrace God’s plan for her in this season. God is tearing down our relationship in order to rebuild it into what He desires for us. My life was shaken 9 yrs ago when I decided to marry, the love of my life and his two teenagers! As God has grown me through the tears, I am thankful for his goodness. 5 years ago we were shaken again by moving for my husbands job– kids chose not to come but stay with their mother:( however, with the economy in the state it is in, I feel it is eminent that he will loose his job again! But in the meantime, I am forever grateful he gets up to go to work everyday. If that day comes, we will deal with it with grace and peace because I know it happened for a reason! I truely believe we are where we are, when we are supposed to be there for Gods divine appointment. We call it “going on another adventure”! Seriously ~ through these beautiful teenagers I’m being stretched to trust, encouraged to run (into the arms of the One). And boy, there are times I want to run screaming the other way. Through the lingering lonliness of the last two years, I’m learning to lean into Him. My Daddy assures I’m not alone after all. There’s a faith that’s been birthed in that one-on-one time. It’s not been easy, but I wouldn’t trade it. He’s faithful. There’s a beautiful depth in this series, Suzie, just like the last books of yours I’ve read. What a strong God we serve. Shake, shake, shake! I thought we were finally done with being shaken. I now have 9 years free from addiction that shook us all. My husband lost a mortgage company that we built. We lost our home and all the perks of this world. But God of course sustained us and renewed and redeemed. Now we are in another small quake. Hubby is looking again for employment. But this time is different. We are standing on His promises and I’m seeing them come true. We have several opportunities to choose from and we are waiting on His word to move into one of them. Thank you for sharing your stories. After 26 years of marriage ang 4 children, I thought I should be settled…but I don’t want to settle because He’s got so much more for us! LOVE seeing you beautiful friends (Keri, Sarah, Kelly, Julie, Leigh Ellen) share about how God is shaking up your faith today! Thank you for being such an encouragement to this girl’s heart! Thank You, Kim. Blessings to You! Thank you for sharing your stories, brave friends, and Suzie, thank you for this study! My husband and I have been married for almost 23 years. He was raised by an alcoholic mother and his father left never to be heard from again when he was four years old. He came out of a home filled with emotional and physical abuse and it molded and shaped him in ways God never intended. 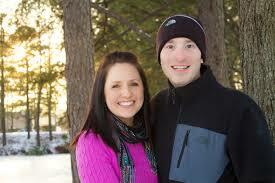 It has made being married rough, sometimes seemingly impossible. But God has been moving, changing and healing both of us. Now this year we have done the Daniel Fast and have committed that time to praying and believing our marriage will be all that God intends for it to be. We are now interacting well, not becoming defensive or hurtful to one another. God is so good! For the first time I feel peaceful about our marriage and where God is taking us! God used many circumstances to shake our faith and help us grow, and I am so thankful! How lovely to read these testimonies from beautiful women touched by God. Father, thank you for this family. Thank you for guiding us when we don’t know what to do. Thank you for stepping into faith, though as small as a mustard seed, and somehow it being enough. Today we hold up a thousand mustard seeds, proclaiming that You are God. That You love this couple. That You can heal and make whole and lead and love in ways we might not. We trust You. We lean into You. In Jesus’ name. CarolAnne, we’re all been in that “I don’t know what to do” moment. I love how Jehoshaphat said, “We don’t know what to do, but our eyes are on you, Lord.” ( 2 Chronicles 20:12) May the Lord give you grace as you look to Him, and may His power be at work in your family. Lord Jesus, remind CarolAnne that you are with her today. 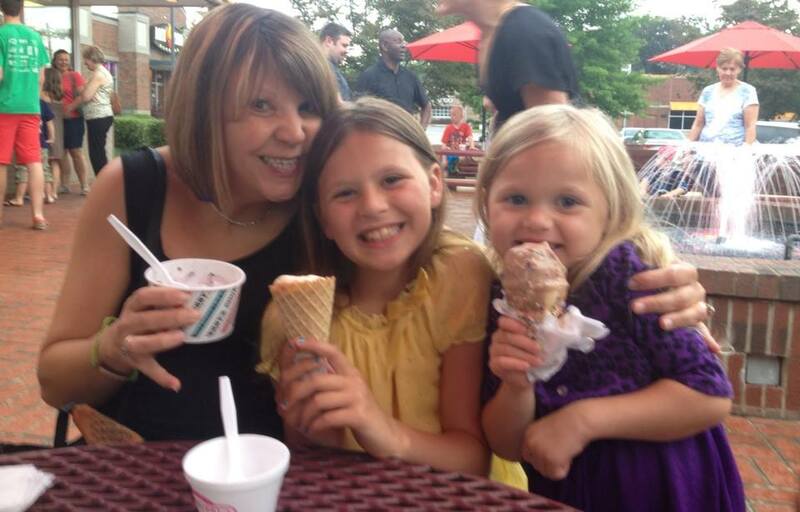 And that you are with her daughter and son-in-law. It’s so hard as parents to watch our kids go through hard seasons. Be near to them all Father. And help us to remember that you love our kids more than we can imagine! My husband is military and after many years of service and always being state side he is scheduled for deployment overseas. I’ve navel been a “good” military wife. Worry, fear and loneliness always eat at me when He’s away. This absence will be longer than we’ve experienced. When the reality sank in I went to prayer and the word. God used the word to bring me peace that can only be from Him. Psalm 18:28-29 shook me, held me, comforted, and strengthened me. I claimed the words for myself, for my husband, for my family. I trust him to be our light our direction. I trust him to help us run and leap over walls that look impossible to jump over. I trust him to go before my husband and prepare the way and to never leave his side. I trust him to be with me and my children and to keep our family unit connected as only he can. Trusting the Lord with the impossible shakes me up and gives me peace. Beautiful, Jodie! Father thank you for Jodie’s trust in You. You are her Source. You do calm those fears. 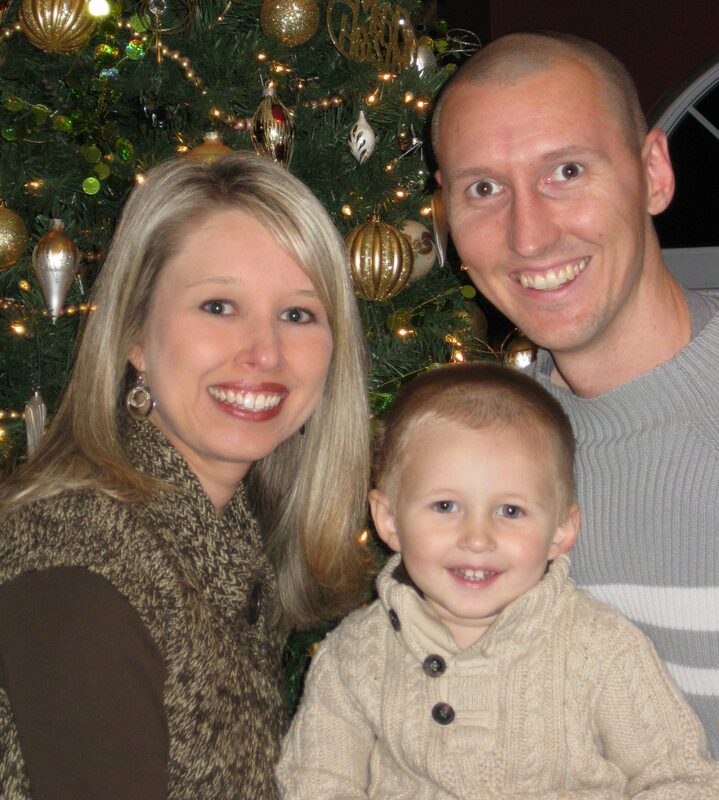 Hold this family close in Jesus’ name. Oh Jodie! All of my siblings are military, and I always tell my sister that I would be a horrible military wife! I don’t know how you girls do it. But, God! Your faith is so apparent and I love that you look to Him in every season. Praying for you and your sweet family! The shaking in our lives isn’t easy, but when we trust God, He will always, always use it for good. When our life was shaken, God was so very present. I am continually slack-jawed at His faithfulness and the practical, personal ways He takes care of us. Oh Lisa, I know how your family was shaken and your words hold so much courage and faith. You are such a beautiful example of shaken faith. You are a powerful woman of faith, Lisa. Such an example to me. Lord, pour out your Spirit on Lisa today! May her faith continue to grow STRONG.